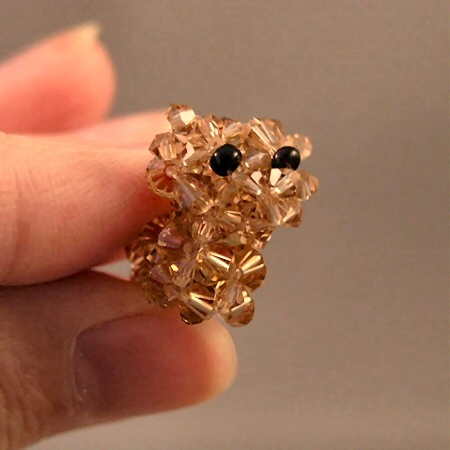 Made an other dog out of the beaded miniature dogs written by Masako Syoji. 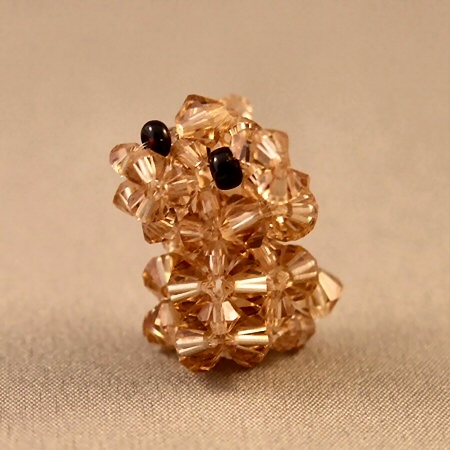 This cute little Pomeranian made with 3mm and 4mm swarovski bicone in the color light topaz. Added a photo from me holding it in my hand, so you can see how small it is.